How Far is Sreerosh Athena? 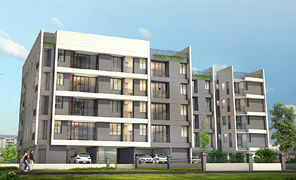 Sreerosh presents Athena - premium residential apartments located in one of Chennai’s emerging and desirable residential neighborhoods- Nolambur, Mogappair West. A tranquil location it offers opportunities for growing families to secure your space in a rapidly growing neighbourhood. Urban sophistication blends with suburban charm here, that’s just perfect for inner city living. 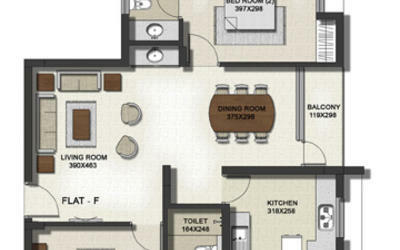 Choose from one of our three stylishly designed floor plans - each of them crafted with seamlessly stunning contemporary designs, aesthetically crafted interiors and invaluable features that spell nothing but the best. And that’s not all. 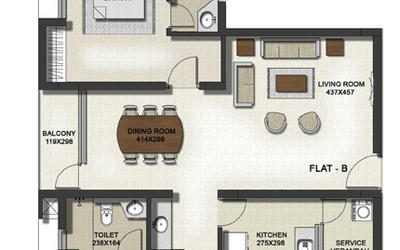 Anthea comes to you with a world of amenities that spells comfort, character and convenience. So, what are you waiting for? Discover a unique and limitless lifestyle experience and a place to live, work and unwind. Come home to Sreerosh Athena. Main Door: Teak frame and & teak vineared polished door. Other Doors: First quality wood frame with commercial flush door painted with enamel paint. Windows: UPVC Frames with glass and grills. Granite Slab platform with stainless steel sink. 2 feet height glazed tiles above platform of basic price Rs.32/-sqft. Upto 7 feet height tiles in the bathrooms of basic price at Rs.32/- Sqft white coloured sanitary fittings of Parryware/Hindustan or any reputed make. Metro /Arc/Jaquar CP fittings. GI/PVC water lines, PVC waste water & soil lines, common water sump and open well/bore, Overhead tanks. Three phase connection with concealed PVC conduits wiring with necessary service points, PVC conduits for TV antenna and telephone. Wires Finolex/ Havells etc ISI brands. Modular switches of reputed make. Sreerosh Properties is one of the most respected property development Company in Chennai & North Kerala known for its signature development of high quality residential, commercial & life style projects exceeding more than 2 million sqft. budget and specified time without compromising on quality. Sreerosh expertise includes and is not limited to property development, construction, strategic planning and turnkey projects besides competitive and comprehensive leadership in executing Joint Ventures with land owners - institutions or individuals. Hands-on and creative in its approach, the primary focus of Sreerosh has always been on maximizing the real estate experience, property value and quality of living. A privately owned Company, Sreerosh was found by P. SREEDHARAN, Master Technology in Civil Engineering (IIT Madras).